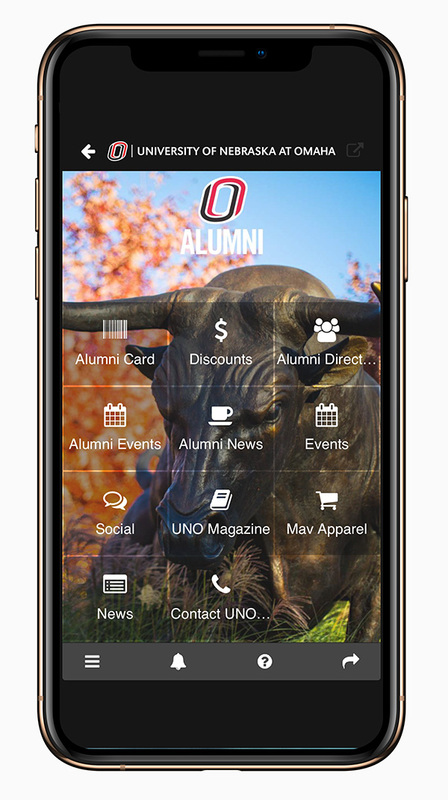 The UNO Alumni Association has launched a new and powerful app that unleashes everything Maverick for graduates and donors everywhere! The free app — “UNOmaha” — can be downloaded to any Apple or Android smart phone or other mobile device. It debuts with a new offering for all graduates — discounts and savings of up to 50 percent at local, national and online vendors, including restaurants, hotels and more. The discount feature is location-aware, so graduates across the country can benefit. * Receive notifications for campus and alumni news, events, etc.